Have you packed a shoebox and are looking to receive a "Follow Your Box" tracking label with this donation? If so, click "Yes", otherwise click "No"
Samaritan's Purse is airlifting emergency shelter materials and a team of disaster relief specialists, including medical personnel, to Mozambique to provide help in Jesus' Name to areas devastated by deadly Cyclone Idai. If you're not in the United States, you can give through one of our worldwide offices. Each office works toward the same goal of taking the love of Jesus Christ to victims of war, poverty, natural disasters, and disease. You can give online using a credit card or electronic check. If you cannot give online and would like to wire transfer a donation from your bank account, please call us and we would be glad to assist you. Call (828) 262-1980. To give appreciated securities, avoid capital gains tax, and qualify for a fair market value deduction click here. Download stock transfer instructions here. 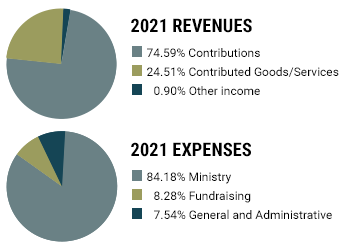 Samaritan's Purse is a 501(c)(3) tax-exempt charity.